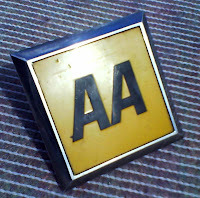 A used 1960s AA Grill Badge design to be mounted on the front grill with the screws provided. 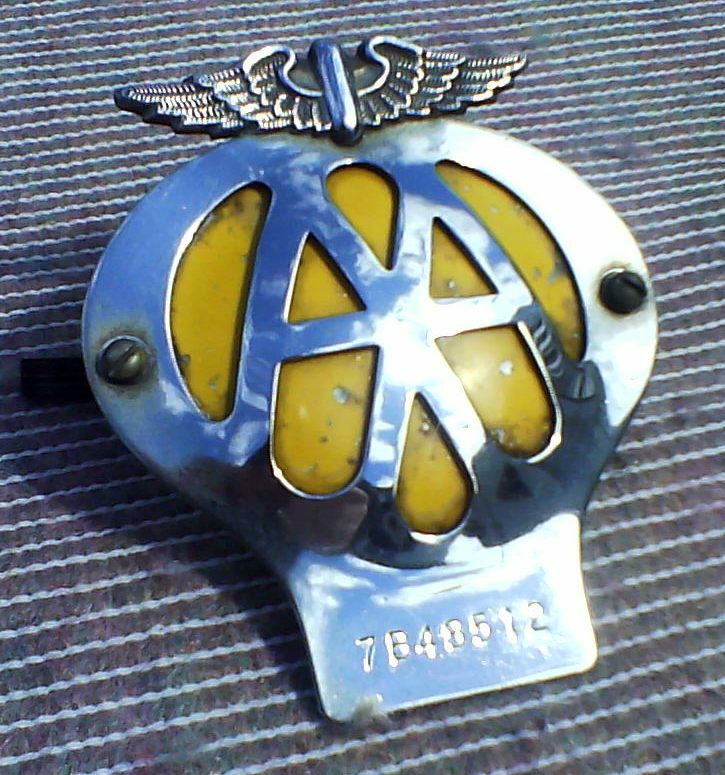 The chrome is in good condition for its age and polishes up beautifully. Some very slight pitting is visible right up close, but no rust. The yellow part is stonechipped and could do with removing and repainting, a 30 minute job. Screws and fixings present and working.